Which Apple TV Capacity do you Need? Do you need a 32GB or a 64GB model? 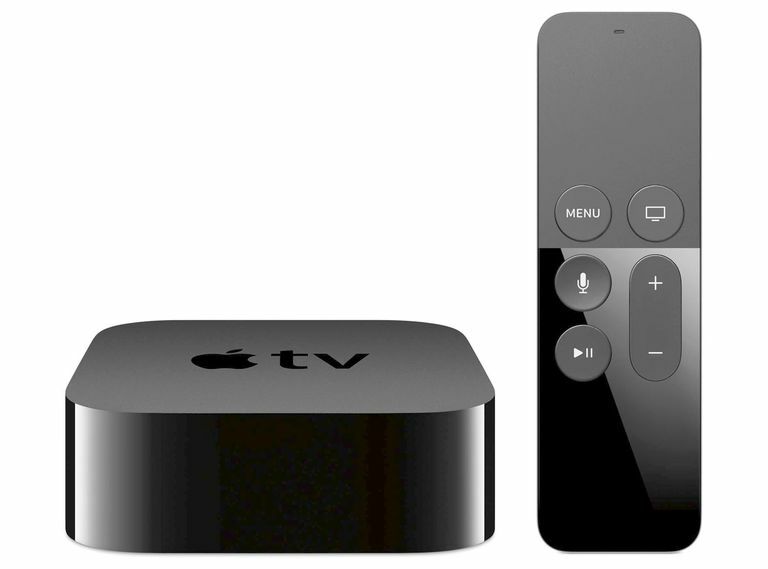 Apple TV is available in 32GB and 64GB capacities, so which model should you use? Apple TV is designed mainly as an access point for streamed media content. This means that music, movies, TV shows, and other multimedia content that you access with the systems is nearly always streamed on demand, rather than stored on the Apple TV itself. That's not a hard and fast rule -- as you collect games, apps, and watch movies the storage on your device will be used up. (Though sometimes this is only temporary). With this in mind, while the $50 price difference between the two models is bound to be a consideration, understanding how Apple TV uses storage, caches content, and manages bandwidth should help inform your decision surrounding which model to purchase. What Apple TV uses storage for is the software and content it runs, any of the 2,000+ apps and thousands of movies now available at the App Store and through iTunes (and some apps). To help mitigate the amount of space used, Apple has developed some clever “on-demand” in-app technologies that only download the content you need immediately while getting rid of content you don’t need anymore. This enables apps to offer high-quality scenes and effects during games. For example, the device only downloads the first few levels of the game when it is first downloaded. All apps are not equal: Some occupy far more space than others, and games tend to be particular space hogs. If you already own an Apple TV you can check how much storage is already used in Settings > General > Usage > Manage Storage, where you can delete apps you no longer need in order to save space. (Just tap the Trash icon beside the app name). Apple TV also lets you access your images and music collections through iCloud. Once again, Apple has thought this through and its streaming solution caches only your most recent and most frequently accessed content on the Apple TV. Older, less frequently used content will be streamed to your device on-demand. The simplest way to understand this is that as new content is downloaded to your Apple TV, old content is chucked out. One big thing to think about is that as Apple introduces 4K content, and as the graphics components of games and other apps available on the system become larger, the amount of local storage on the system may become more important. Apple recently increased the largest permitted size of apps on Apple TV to 4GB from 200MB. That's great for games as it means you won't need to stream so much graphics content (enabling developers to build more graphical spaces) but will eat up space on slimmer models. If you’ve read this far you may have noticed that good performance when using Apple TV depends quite heavily on good bandwidth. That's because even while watching a movie (or using other apps), the system will be streaming some of the content while you watch. It’s all very well using on-demand streaming technology to delete already used content to make way for the content you now need, but it all falls down if you have poor bandwidth. One way around this is to use the 64GB model if you do suffer bandwidth constraints, as more of your content will be kept cached on your box, reducing the lag you might experience as new content is downloaded. If you have good bandwidth then that’s less of a problem and the lower capacity model should deliver what you need. What we don’t know is how Apple plans to develop Apple TV in the future and how necessary storage becomes as it implements any future changes. As mentioned above, the company in January 2017 raised the maximum size of apps it allows developers to make for the system. We have heard claims Apple intends launching a TV subscription service. The company has also transformed the Apple TV into a HomeKit hub, and in future may have plans to implement Siri as a home assistant. These moves will impose more demands on the storage inside your Apple TV box. If you only use a few apps, play a handful of games, and only watch movies casually on the Apple TV then the 32GB Apple TV may suit you. Likewise, if you want near-instant access to your music or images library, you may want to choose the larger capacity model, which should also deliver better results if you have any bandwidth constraints. If you expect to play lots of games and making use of all the other useful features, such as news and current affairs apps, it makes some sense to consider spending the extra fifty bucks on a 64GB model. In the same way, if you want to get the best possible performance from your choice the larger capacity model will deliver this most consistently, particularly if you are an intensive user. In most cases, the decision of which size to purchase comes down to how intensively you plan to use Apple’s streaming solution. However, Apple may offer new and interesting services in future that may demand a higher capacity device.